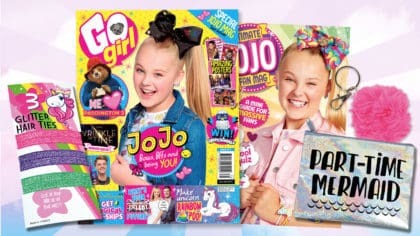 Check out this gift-filled edition of Go Girl Magazine, featuring JoJo Siwa! 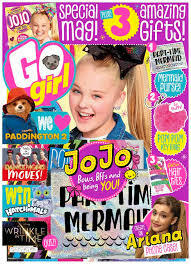 From fashion, movie news, LOLs, celebs, posters, quizzes, puzzles and much, much more, Go Girl magazine is packed with everything you love! The latest issue of Go Girl has hit the shelves and you’re not gonna wanna miss it. Go Girl’s also got the low-down on all the celeb gossip from Dance Moms to Paddington 2, A Wrinkle in Time and more! 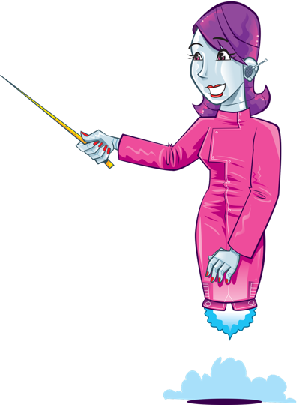 Click here to visit Go Girl online! There’s also news about Descendants 2, the latest series of Britain’s Got Talent, and tips on how to make unicorn poop slime. 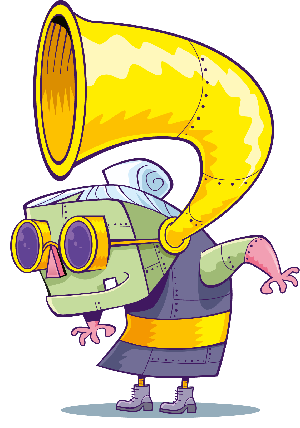 Go Girl magazine is available at all good supermarkets and news stands.